After we launched our Black Friday deals exclusively for members of the Grape Vine, we are delighted to extend these to the general public today on Cyber Monday! We’ve got TWO fantastic deals for you – a 5* Provence winter trip with a staggering saving of 42%, and a superb Tuscany break in Siena with an amazing 37% discount! Availability is limited, so don’t hesitate to give us a call on +44(0) 1920 46 86 66 or email info@grapeescapes.net for more information or to book your trip. Our Hidden Gem, the beautiful Château de Berne provides the perfect Provençal base for a luxurious and relaxing winter wine holiday! On the three day/two night break, you’ll enjoy two nights’ bed and breakfast accommodation at this stunning 18th Century 5* Relais & Châteaux property. On day two, you’ll delight in a full tour of the on-site winery and picturesque vineyards, followed by an extensive tasting session of no less than SIX of the estate’s wines! In the afternoon, you’ll have the opportunity to discover the method to traditional Provençal cooking in a hands-on cookery class, under the guidance of an excellent local chef, where you’ll prepare your own dinner! 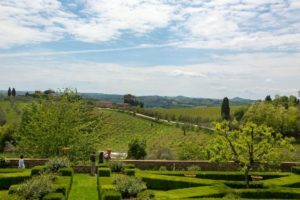 Based at the 4* Hotel Athena in the heart of the breath-taking UNESCO classified town of Siena, this three day/two night break is perfect for an introduction to the wines of Tuscany. 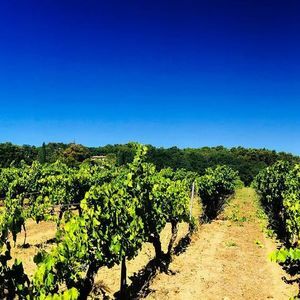 On the full day tour, you’ll discover two wineries – a local wine cellar in Montalcino to discover the world-famous wines of the Brunello di Montalcino appellation, and a fantastic estate in Monetpulciano, where you will have the opportunity to taste the renowned Noble di Montepulciano wine. The tour will also take you to Pienza – a fabulously quaint Tuscan town, and the fortress in Montalcino, where your guide will regale you with tales and anecdotes about this history of the region whilst showing you around. See below for the booking and travel conditions for this break. *Essential Siena offer valid on travel between 1st December – 18th March (excludes New Year)/ Hidden Gem Chateau de Berne offer valid on travel from 3rd November – end of December and between 14th February – 28th April/ All offers are based on 2 people sharing a double or twin room/ Please quote BLACKFRIDAYDEALS when enquiring.